"SHE WAS pursued by the Prince of Monaco and said to have made 'Marilyn Munroe look like Shirley Temple,' and in true tinsel-town style the path for the 1950s starlet has since been riddled with scandal." 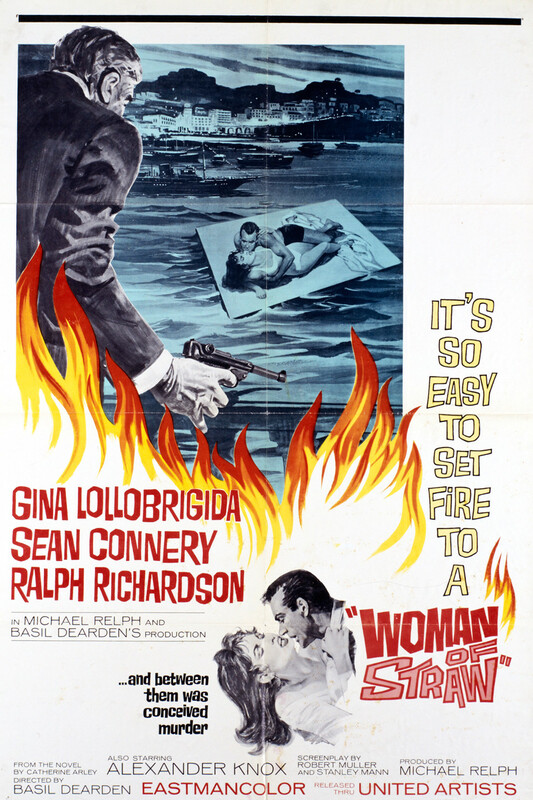 Italian movie siren Gina Lollobrigida was once dubbed "the most beautiful woman in the world," after the title of a 1956 film in which she starred. Gina turned 90 years old this past summer and the city of Rome held a magnificent party in her honour. 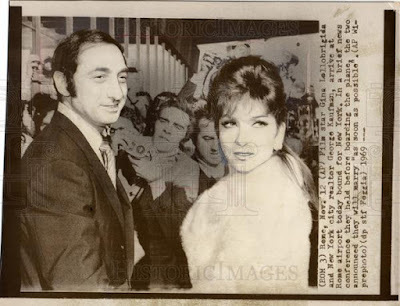 To celebrate the milestone and Gina's career., a statue of the diva was unveiled on Via Condotti There was a also a red carpet ceremony and an impressive birthday cake. At the age of 90, Gina remains feisty as ever and seems to have lost none of her caustic wit. In an interview with Corrierre della Sera, she ruminated on her feud with rival Italian actress, Sophia Loren, who is 83 years old. "I'm not looking for any rivalry against anyone," she declared. "I was the Number One." 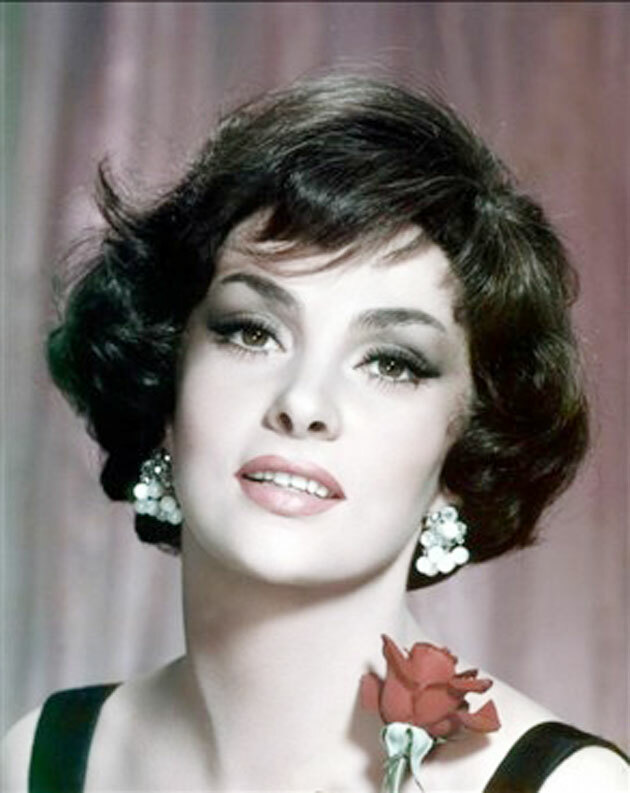 Luigina "Gina" Lollobrigida was born in the mountain village of Subiaco, Lazio, Italy on July 4, 1927. Her father was a furniture manufacturer and she had three sisters: Giuliana (b. 1924), Maria (b. 1929) and Fernanda (1930–2011). During World War II, she spent much of her teenage years with her parents and her sisters, trying to keep safe from bombs. In her youth, Gina did some modelling and participated in beauty contests. After the war, she won national recognition by finishing third in the 1947 Miss Italia pageant and a talent scout noticed her outside of Rome's Academy of Fine Arts, where she was a student of drawing and sculpting. As a result, she was called to Cinecittà, the Roman film confectionery and offered her first film role. On January 15, 1949, Gina married Dr. Milko Skofic. 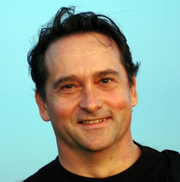 a Slovenian physician who gave up his medical practice to manage Gina's career. They had one child, a son, named Andrea Milko (Milko Skofic Jr.), born on July 28, 1957. but the marriage ended in divorce in 1971. Gina with Milko Skofic with baby Milko Jr.
During her film career, Gina starred opposite such greats as Humphrey Bogart, Sean Connery and Anthony Quinn. She first came to Hollywood for a screen test at the request of American business magnate and film producer Howard Hughes. He invited Gina to Los Angeles after seeing her in a publicity photo in 1950. Hughes was infatuated with the Italian actress and pursued her relentlessly. Nevertheless, she returned to Rome two and a half months later, but not before Hughes had presented her with a seven-year contract with RKO Pictures. Her Hollywood breakthrough did not come until the 1953 comedy Beat the Devil, directed by John Houston.and co-starring Humphrey Bogart, Jennifer Jones and Robert Morley. The film chronicles the adventures of a group of rogues on their way to Africa with plans to strike it rich. It was apparently Bogart, by the way, who made the comparison between Gina and Marilyn Monroe. Gina starred in the 1956 circus film Trapeze, alongside Tony Curtis and Burt Lancaster. She also appeared as Esmeralda opposite Anthony Quinn as Quasimodo in the 1956 French-Italian version of the Victor Hugo classic The Hunchback of Notre Dame.de Paris. In addition, Lollobridida co-starred with Rick Hudson, Sandra Dee and Bobby Darin in the 1961 romantic comedy Come September. That same year, she appeared with Quinn and Ernest Borgnine in the drama Go Naked in the World. Gina and Yul Brynner were paired in the 1959 historical epic Solomon and Sheba. Brynner played King Solomon of Israel, with Lollobridgida as the Queen of Sheba in this dramatization of Biblical events. 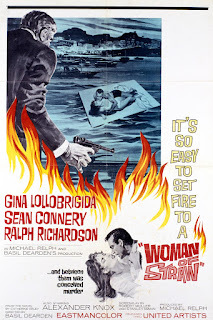 Gina later teamed up with Sean Connery in 1964's Woman of Straw, in which Connery played an ailing tycoon who becomes enamoured of his Italian nurse, Maria, portrayed by Gina. During the 1960s, Gina had a brief affair with Dr. Christiaan Barnard, the South African cardiac surgeon who performed the world's first human-to-human heart transplant on December 3, 1967. Dr. Barnard encountered Gina in January of 1969, during a visit to Rome to receive an audience with Pope Paul VI. Barrard, who died in 2001, described the affair in his autobiography The Second Life. Gina was also briefly engaged to George Kaufman, a New York real state heir. The photo below shows Gina and Kaufman as they leave Rome for New York City in November of 1969. When her film career began winding down, Gina moved on to other endeavours. By the 1970s, she had established a second career as a successful photojournalist, Her work received much acclaim and her subjects included Paul Newman, Henry Kissinger, Salvador Dali, the German national football team, Audrey Hepburn and Ella Fitzgerald. In 1973, a collection of Gina's photographs taken across Italy, entitled Italia Mia, was published. 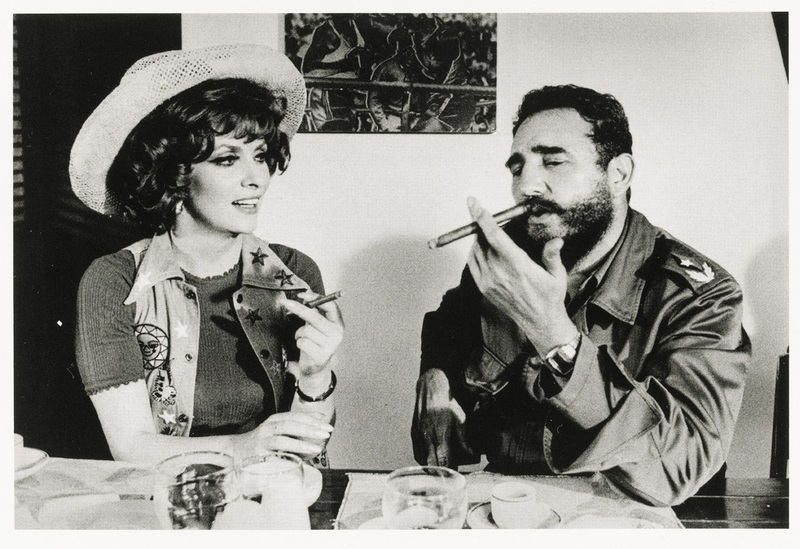 In 1974, she managed to scoop the media by obtaining an exclusive interview with Cuban leader Fidel Castro. The multi-talented Gina also developed a career in sculpting. In 1992, one of her pieces became the official entry at the Word Expo in Seville, Spain. She maintains a large studio in Pietrasanta, an artists' colony in Tuscany, where she creates marble and bronze sculptures. Her works have been displayed in in cities such as Paris, Venice and Moscow. In a October 29, 2006 article by John Stanley for the San Francisco Chronicle, Gina made the following comments about her approach to sculpting: "I don't have time for gymnastics. It is both mental and physical, sculpting. I start work at 6 a.m.and don't stop until there is not enough light. To express myself, that is my life. To be my own master. In sculpting, I do moments from my life. People I knew, things I have seen. It is all part of me." In 1984, Gina Lollobrigida appeared on U.S. television for the first time. She guest-starred in five episodes of the American prime time soap opera Falcon Crest, portraying Francesca Gioberti, the long-lost half-sister of family matriarch Angela Channing (Jane Wyman). 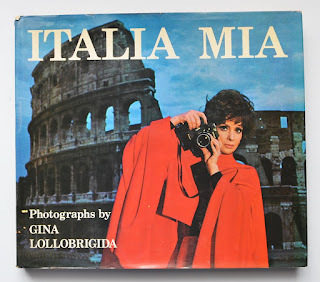 According to William Schmidt, Falcon Crest story editor from 1984 to 1987, Gina was unaware that the role of Francesca had been turned down by Sophia Loren. In a 2006 interview with TJP Press, Schmidt stated, "I think she (Sophia) was pretty interested, but eventually turned us down. The funny part was when we met with Gina Lollabrigida, We kept the meeting with (Carlo) Ponti (Sophia's husband) a secret and since neither Gina or her people asked, she did not know that we first contacted Sophia. In that first meeting, Gina exclaimed, 'I am so happy! I am so sick and tired of of always being offered Sophia Loren's leftovers!' All of us around the room assiduously avoided eye contact." In 1986, Gina had a role in in a two-part episode of The Love Boat entitled "The Christmas Cruise" (Part One, Season 10, Episode #2, Air Date: December 25, 1986), Part Two, Season 10, Episode #3, Air Date: December 25, 1986). 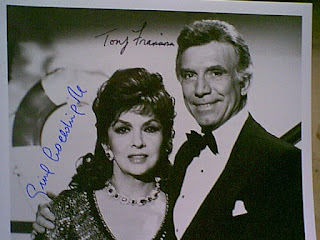 Below is a photo of Gina and Tony Franciosa in a scene from that 1986 episode of The Love Boat. In October 2006, Gina, 79, announced her engagement to 45-year-old Spanish businessman Javier Rigau y Rafols, in Spain's ¡Hola! magazine. In 2013, she became involved in a bizarre law suit in which she claimed that Rigau had secretly married her without her consent in order to inherit her wealth. She contended that he had paid an impostor to stand in for her at a 2010 wedding ceremony in Barcelona (a then-72-year-old friend of Rigau stood in for Gina). Gina described the alleged marriage as "squalid buisiness" and initiated legal action. For his part, Rigau y Rafols declared Gina's accusations to be untrue. According to the Catalan businessman, Gina had signed all the required documents of her own free will and had consented to the proxy marriage. He claimed that she had consented to a stand-in bride to avoid publicity. Gina contended that she was unaware what she was signing because she did not speak Spanish. She said that she signed the legal document in Rome in 2014 because she was under the impression that it concerned a defamation case, not realizing that it was an authorization of their marriage under Italian law. In 2014, there was further over Gina's fortune. Her son, Milko Skofic Jr., told Il Messagero, an Italian newspaper, that he wanted a a court-appointed administrator to oversee his mother's estate. Skofic, Jr., Gina's only heir, feared that she would be taken advantage of by her young male adviser, Andrea Piazzolla. Gina, however, reacted strongly against such an idea She would have none it. 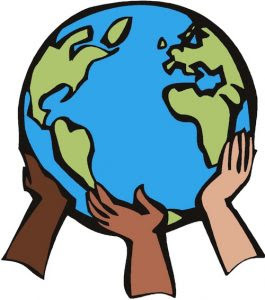 In fact, she told the paper that “I am perfectly capable,” and that she still “travelled the world” despite her age. In March of 2017, Lollobrigida lost her "fake marriage" case against Javier Rigau y Rafols, According to the Spanish online newspaper Vanitatis, the court ruled that Gina's claims of marital fraud were without foundation. During the trial, Gina's lawyer, Fabrizio Siggia, accused Rigau of planning to wait until she died, then say he was her husband and claim her wealth." After the court ruling, Siggia stated that Gina would appeal the verdict. * Gina's nickname is "La Lollo." * Gina often refers to herself in the third person. * In 1999, Gina ran unsuccessfully as a candidate for the European Parliament. * According to a January 26, 2015 article in Vanity Fair by James Reginato, Gina's son, Milko Skofic Jr., "develops scientific information in the field of plant genetics." 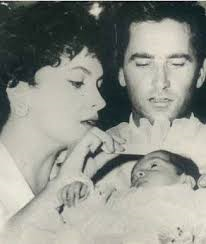 He and his estranged wife, journalist Maria Grazia Fantasia, have a son named Dmitri, born in 1994. The couple lived in an apartment in Gina's villa until their separation, after which Milko Jr. moved to another home in Rome. Dimitri accompanied his grandmother, Gina, to the 2010 Globo D'Oro Awards in Rome. * In 2013, Gina sold some of her jewellery collection through Sotheby's. She donated nearly $5 million from the sale to benefit stem cell therapy. * Gina Lollobrigida first established her career in Europe and never moved permanently to Hollywood. She continues to reside in Italy.